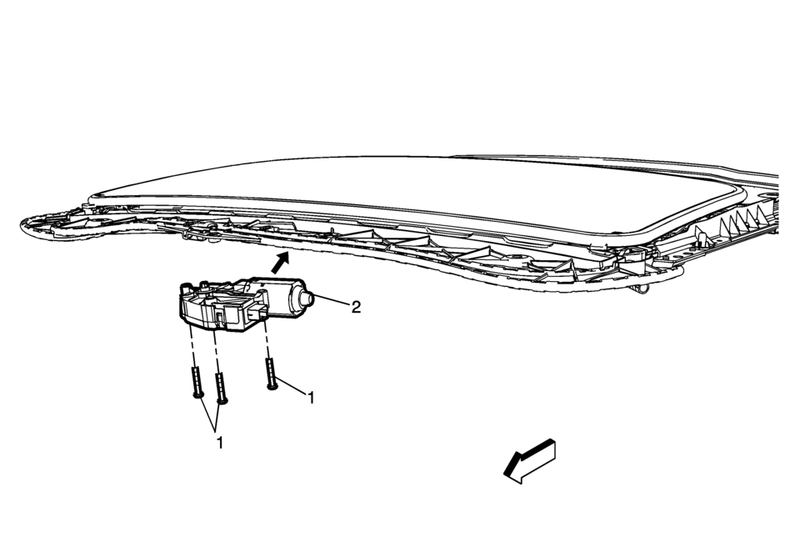 The sunroof window must be in the fully closed position before disconnecting the harness, to ensure synchronization of the sunroof motor to the sunroof module. Disconnect the electrical connector from the sunroof motor. Pull downward to disengage the actuator motor from the sunroof module. Install the motor, verify the sunroof operation. Ensure the actuator motor initialization/teach process has been done. Refer to Sunroof Motor/Actuator Initialization/Teach Process. Verify the proper operation of the sunroof before installing the dome lamp bezel.